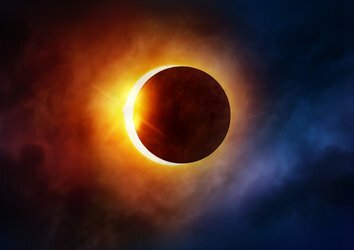 The evening of Monday, November 28th, forever changed the sleepy mountain towns of Gatlinburg, Sevierville, Pigeon Forge, and the surrounding areas. The unthinkable news of wildfires rapidly spreading through our beautiful area became a reality. 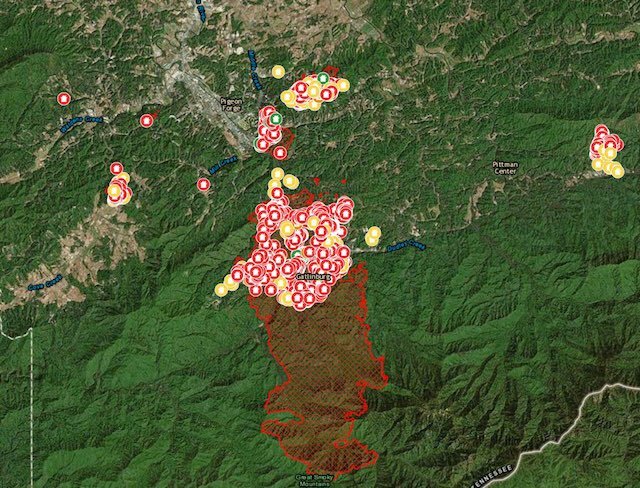 By the time the rapidly spreading fires were partially contained, lives had been lost and 1,000+ structures including primary residences were destroyed. It is with heavy hearts that we recognize loss of life and loss of property is a reality. The unthinkable has happened and our neighbors, family members, community, and area guests are hurting. People have lost loved ones. Families have lost their permanent residences. Employees have lost their place of employment. Businesses have burned down. The pain is real. Even in the midst of pain, sorrow, and destruction, we have thankful hearts. Compared to the level and geographical area of the fire’s destruction, the loss of life is relatively low. We understand that we have been spared from some pain. Additional emergency crews, rainfall, and dying winds came just in time – the Gatlinburg Parkway (strip) was spared. 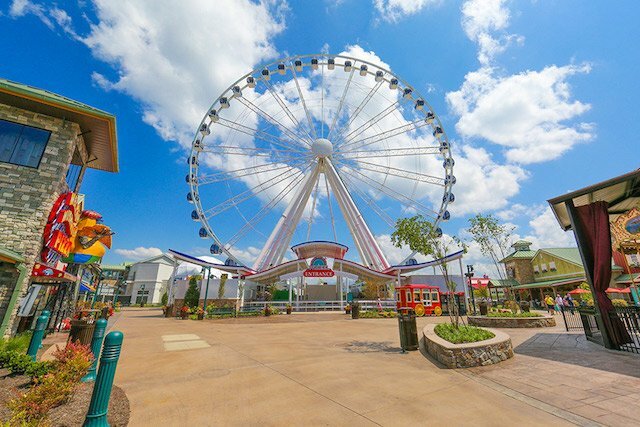 Dollywood and Pigeon Forge were spared. Most of Gatlinburg and the surrounding areas remains fully intact. 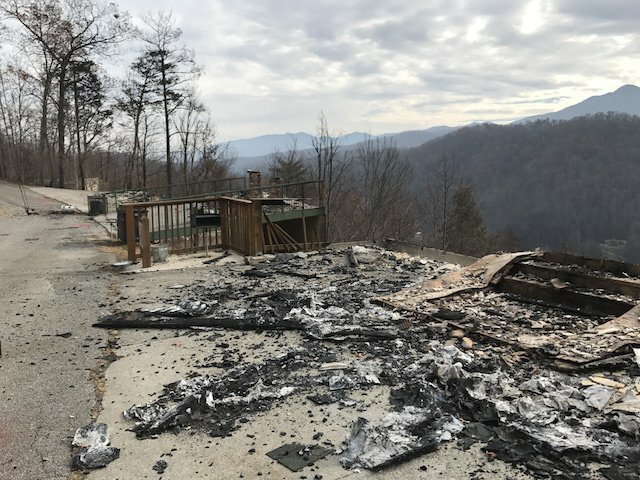 SmokyMountains.com thanks you for your support during this difficult time! As a community, nation, and brand, our hearts go out to the families and businesses that have experienced catastrophic personal and financial losses. We ask that you remember our region in your thoughts and prayers as was we begin the healing and rebuilding process. 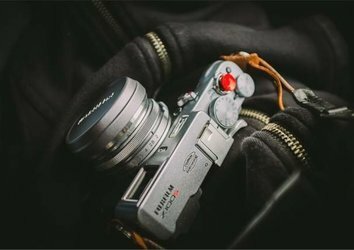 In addition, we ask that you consider contributing financially to one of the locally administered non-profits. We appreciate your financial support of rescue and rebuilding efforts during this challenging time! No, downtown Gatlinburg is largely untouched. The Gatlinburg Parkway, which is the heart and soul of our little mountain town, is fully intact. 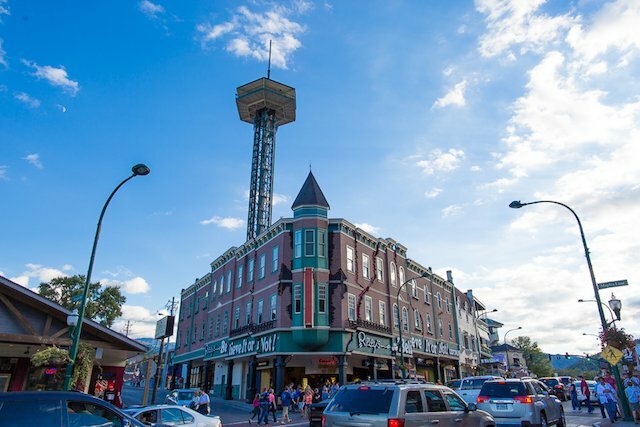 Whether you plan to visit Ripley’s Aquarium of the Smokies, Ole Smoky Distillery, the Gatlinburg Space Needle, Pancake Pantry, The Village, your favorite Parkway restaurant, or the Convention Center, Gatlinburg will be ready for you!!! 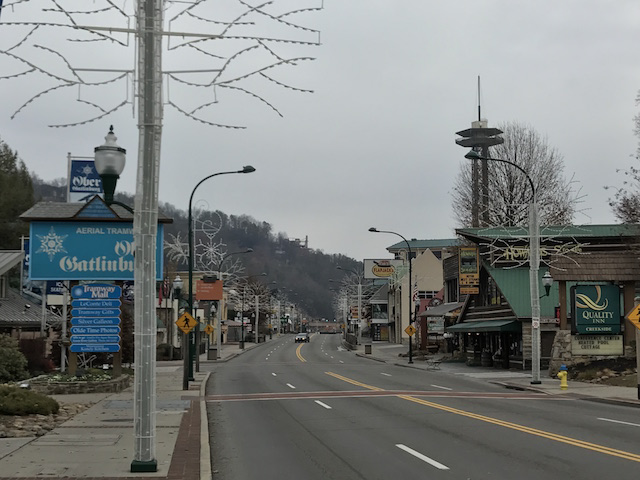 The photo above, which was taken shortly after the Smoky Mountain wildfires, shows that Gatlinburg is still intact, but eerily quiet. Now is the time to make your future travel reservations and help our town recover! Browse our lodging page to find the perfect lodging choice for your upcoming vacation to our area. All properties on our site are ready to host guests and minimally impacted by the events of the past week. 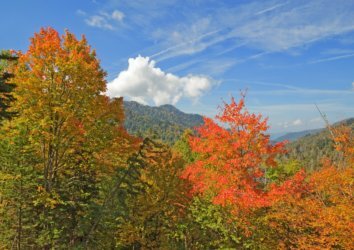 When will Gatlinburg reopen for the visiting public? Following the tragic events of the Gatlinburg wildfires, the City of Gatlinburg took action and implemented a mandatory city evacuation. In addition to evacuating the city, they implemented a multi-pronged National Guard and police perimeter to prevent looting and unlawful access to the various zones. A curfew between the hours of 6:00 pm to 6:00 am was also implemented to ensure the safety of emergency workers and citizens. On Thursday, December 1st, the authorities began allowing business owners and home owners within the evacuation zones. The current plan is that the entire Parkway will be open again by Friday, December 9, 2016 at 7:00 a.m. The official City of Gatlinburg statement can be found here. 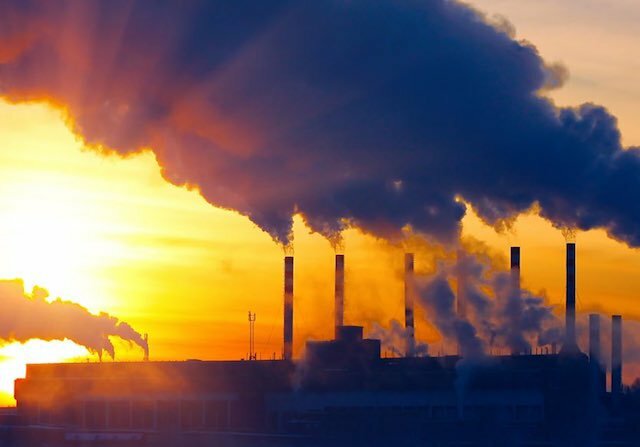 How is the air quality? I have a medical condition impacting my breathing – is it still safe to come? According to the fire chief, local officials, and weather reports, the air quality is the best it has been in weeks. However, for anyone traveling that has a medical condition, we always (even before the fire) recommend checking the official air quality reports. If you have a medical condition impacting your breathing, this is likely already a normal part of your daily routine. We have hosted dozens of groups already and not a single traveler has complained about the air quality. 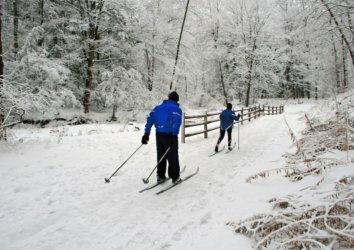 What about the National Park – is it ruined? 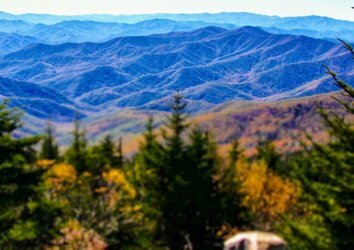 The Great Smoky Mountains National Park is the top visited National Park in the country. In fact, each year, it has more visitors than the Grand Canyon, Yosemite, and Yellowstone combined! Thankfully, the geographical area impacted by the fires is relatively small. 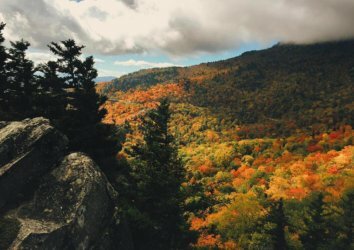 The National Park, which covers area of both Tennessee and North Carolina, is one of the biggest parks in the country with 520,000 acres! Tragically, recent estimates do indicate that 15,000 acres have burned. 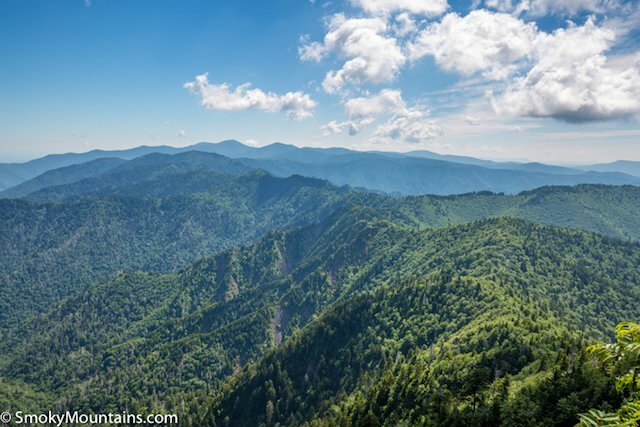 This number, which only represents 3% of the land mass in the Great Smoky Mountains National Park, has not destroyed the majority of the park. Did Dollywood burn down? Was it damaged? 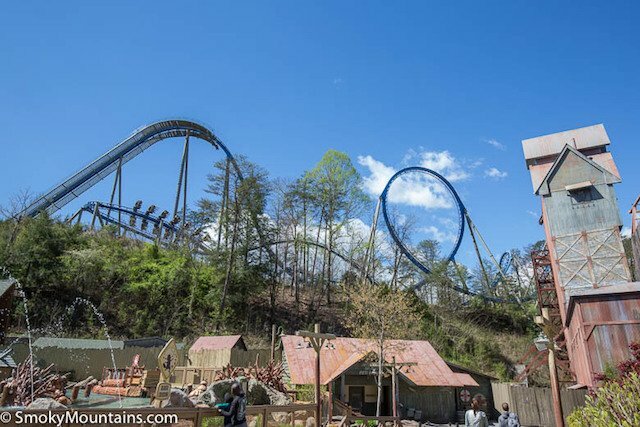 The Dollywood theme park, DreamMore Resort, and Dixie Stampede are all fully intact with no damage whatsoever. These famous attractions were only closed a couple days and are back in full swing now! Was Pigeon Forge damaged or destroyed? 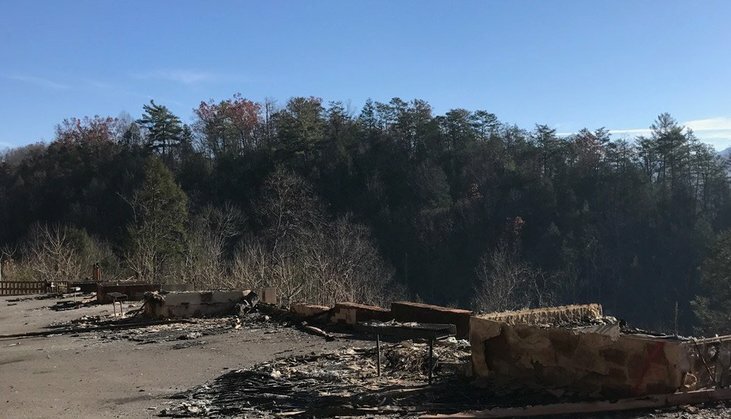 The fires did not impact the Pigeon Forge section of the Parkway. All of these businesses, restaurants, and attractions are fully open and hosting guests at this time. 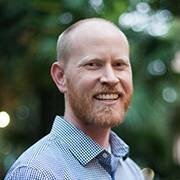 Did my favorite condo building, hotel, cabin, or business burn down? Is the area still decorated for Christmas? What about the Christmas lights? Yes, the area is still decorated beautifully for Christmas! Dollywood is decorated with over four million Christmas lights and has tons of incredible Christmas shows. 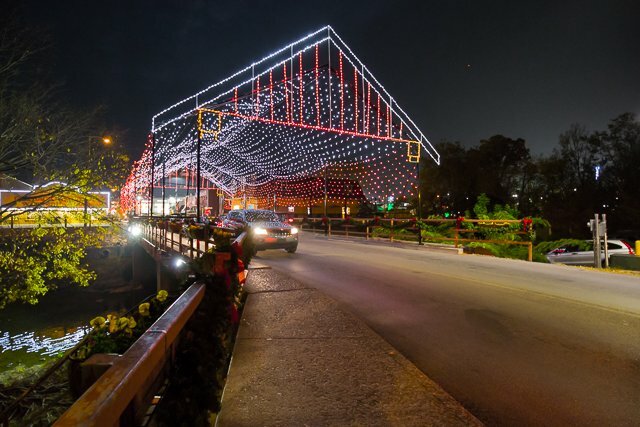 The towns of Pigeon Forge, Sevierville, and Gatlinburg are all still decorated with millions of lights. On the Saturday after the fire, there was a crew adding Christmas decorations to one of the Parkway visitors. 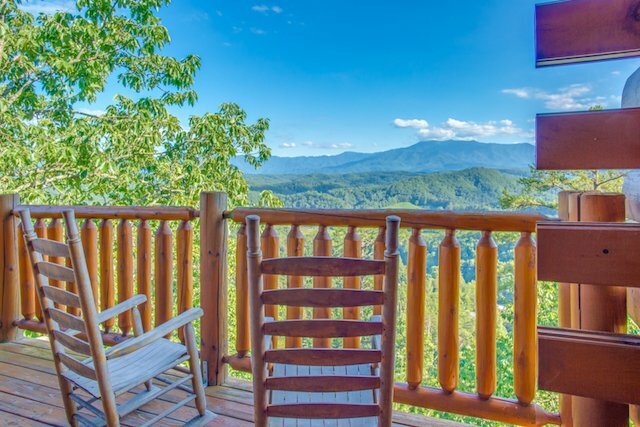 This is the perfect year to enjoy the holidays in the Smoky Mountains! Are the pretty views of the mountains destroyed? The views of the mountains are still incredible and largely untouched by the wildfires. The majority of the mountains in your view will appear the same as they did in the photos – only approximately 3% of the National Park was burned. If you have additional questions, please feel free to reach out via email (help@smokymountains.com). We thank you for caring about our community, contributing to the relief efforts, and continuing to vacation in our beautiful area!! !